Clean car windows look better and improve visibility while driving. 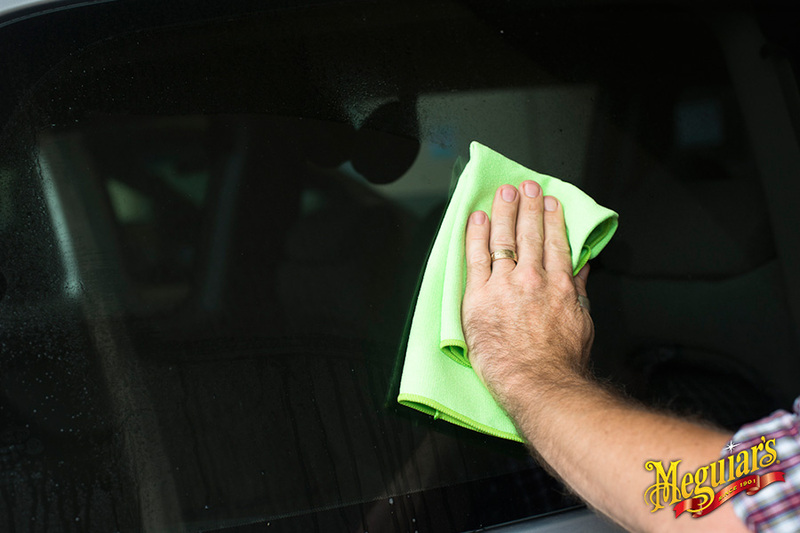 To keep your automotive window glass crystal clear, regular maintenance is a must, that means cleaning them! However, with many ordinary glass cleaners available on the market and incorrect cleaning methods it’s quite easy to leave behind annoying smears and streaks. You’d definitely want your windows to be as clean as possible, especially in low-light conditions or driving at night. 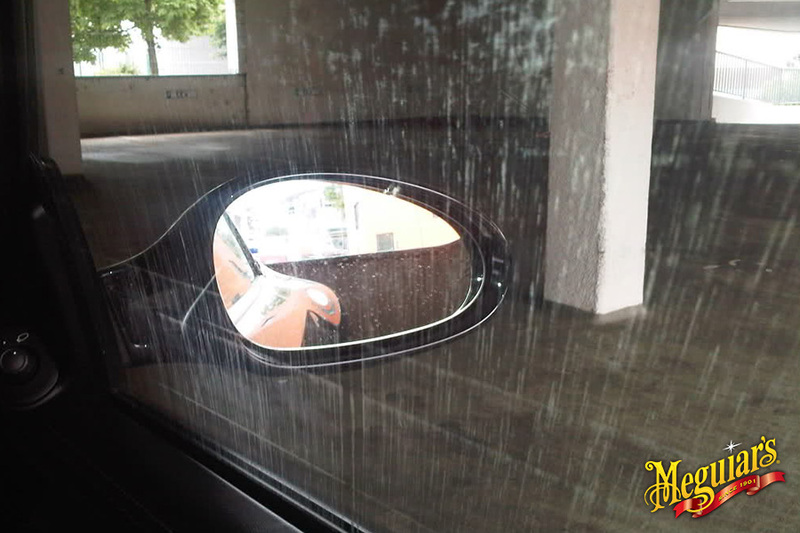 Many car owners get frustrated by the ugly streaks which form after every cleaning session. 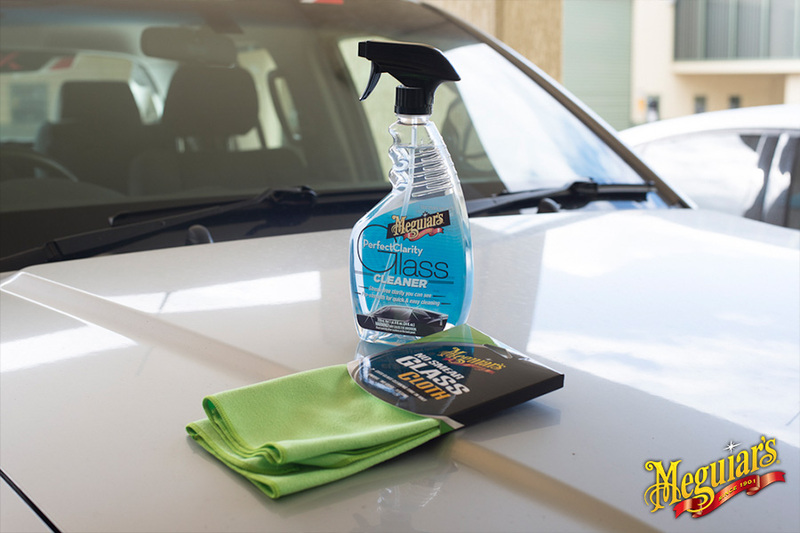 Not so with Meguiars Perfect Clarity and the Meguiar’s No Smear Glass Cloth as they clean leaving streak-free clarity. To prepare for cleaning your windscreen and windows, park your car out of direct sunlight so that the glass is cool to touch. This ensures that the cleaning product won’t dry up too quickly and leave unwanted smudges. 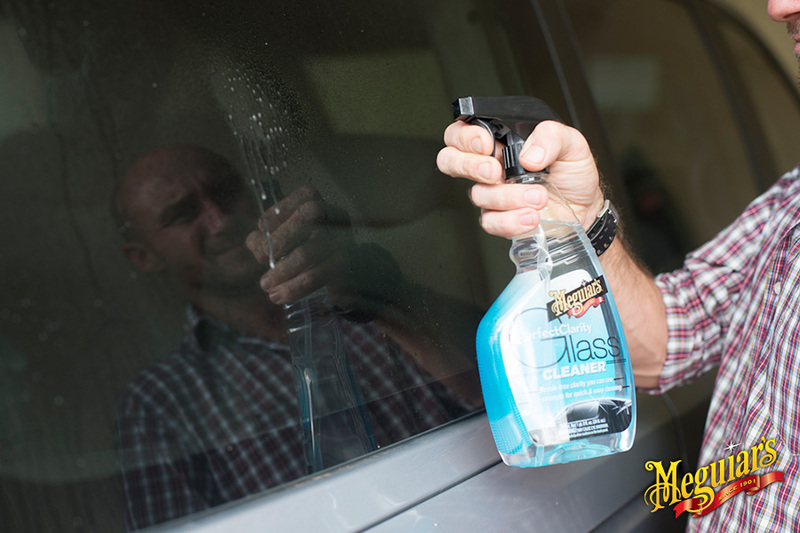 To apply, simply spray a light mist directly onto the glass, spread evenly using a Meguiar’s No Smear Glass Cloth. Obviously the next step is to wipe off and clean off the remaining moisture. The big question is what kind of cloth should be used when wiping off glass cleaner! Our glass cleaners do a fantastic job but the cloth you use with them can make or break that crystal clear finish. We’ve been searching for years to find a grade of microfibre that doesn’t stick to glass as you wipe it dry and this is it. The secret is the Ultra Microfibre and moquette type structure which has super absorption qualities and unique “no grab” performance. Our green cloth is specially designed for glass cleaning, it features zero lint residue. When wiping off you want to make sure you are turning the cloth to a dry portion to polish the glass. You don’t want to be using a dirty or wet cloth as you wipe across the surface. If you need to, use a new dry cloth to clean off the remaining moisture. Cleaning your car windows is a lot easier than you think; good product, a couple of minutes of your time and the correct cleaning method is all you need to keep your windows crystal clear.